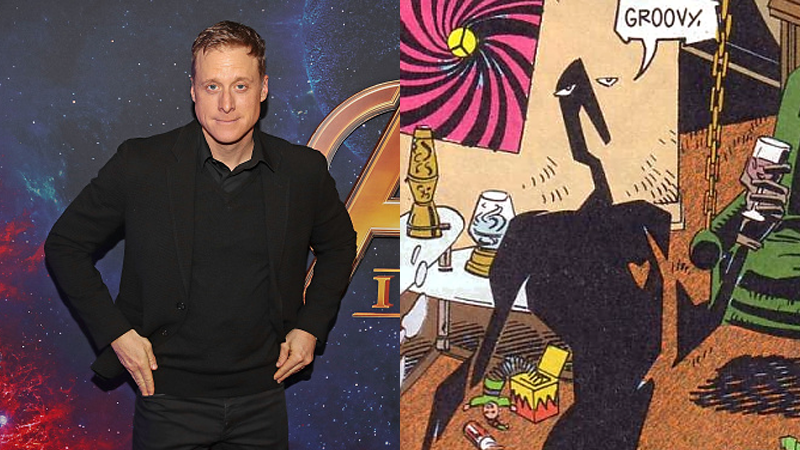 DC Entertainment has been slowly bringing together its weird and wonderful leads for its DC Universe streaming show based on the Doom Patrol comics — and now they have a villain to fight, in the form of Alan Tudyk. Deadline reports that Tudyk has joined the cast of Doom Patrol as the series’ primary antagonist. In the comics, Mr Nobody — formerly the mysterious Eric Morden — was a villain who was experimented on and driven insane, gaining the ability to drain other people of their sanity in the process. A repeat foe for the earliest days of the Doom Patrol, Mr Nobody went on to form the Brotherhood of Dada, a bizarre supervillain team dedicated to championing the absurd. After exposure to unknown experiments by ex-Nazis in post-war Paraguay, the man formerly known as Eric Morden emerges as a living shadow able to drain the sanity of others as the enigmatic, and totally insane, Mr Nobody. Tudyk joins Brendan Fraser (playing Robotman), April Bowlby (Elasti-Woman), Diane Guerrero (Crazy Jane) and Jovian Wade (Cyborg) in the series, which is still looking to cast a few key characters.